Years ago, a French farmer came across something rather unusual on his land near the Pyrenees mountains. What he found appeared to be some kind of large fossil, but afraid that his farm would be swarmed by amateur palaeontologists, he kept his discovery quiet. That was in 2014. Three years later, he finally decided to show it to experts. He contacted the Natural History Museum of Toulouse, who sent their scientists to take a look. They were astonished by what they saw. “It was only when we went there, in 2017, that we realized the significance of the discovery,” the museum’s management said, reports AFP. Unbeknown to him, what the farmer had stumbled upon was, in fact, the first ever complete skull of a Pyrenean mastodon, otherwise known as Gomphotherium pyrenaicum. Pyrenean mastodons were large elephant-like creatures that roamed Europe about 13 to 11 million years ago. They likely stood around 3 meters (10 feet) high and weighed around 5 tons. Unlike today’s elephants, the huge creatures had four tusks, each about 80 centimeters (31 inches) long. Two protruded from the upper jaw, while the other two extended from the lower jaw. The lower pair were fairly flat and were potentially used for digging up roots. There were various species of mastodon, and they’re thought to have originated in North America before moving across to Africa, Europe, and Asia millions of years ago when sea levels dropped. Fossils of the animals have been found in a number of countries around the world, including Germany, Kenya, and Pakistan. The last mastodons didn’t die out until about 11,700 years ago. 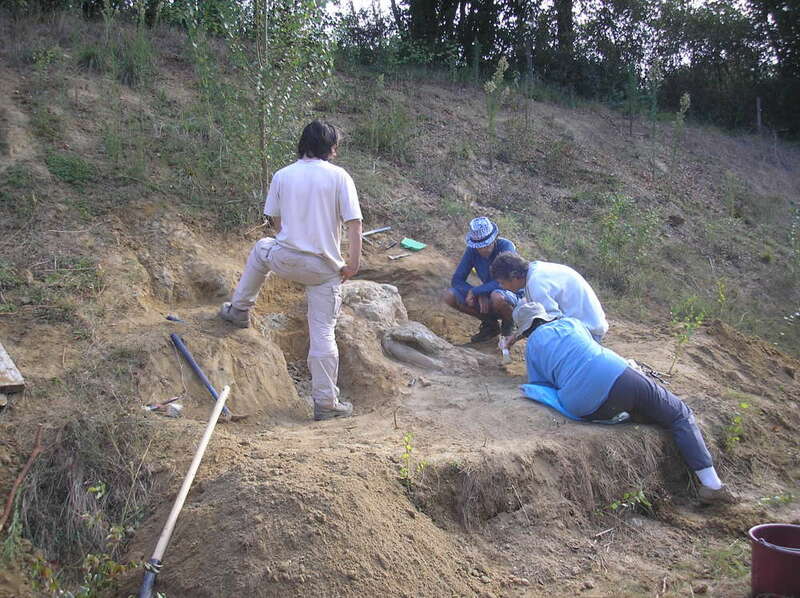 Evidence of the Pyrenean mastodon is pretty lacking in the fossil record – a few teeth were found in the same area back in 1857, and that’s it. Now we have an entire skull. “I’ve been looking for this species for 35 years, and my professor – he’s dead now, but he was looking for it for 50 years,” museum director Francis Duranthon told Cosmos magazine. Hopefully, the new fossil will be able to tell scientists a lot more about the mysterious beasts, giving us a better idea of what they might have looked like. “We’re putting a face on a species which had become almost mythical,” added curator Pierre Dalous. 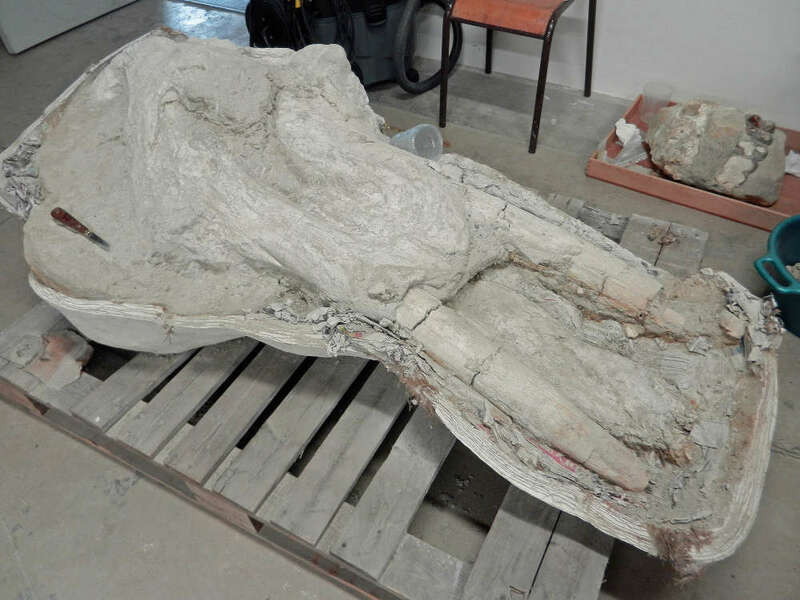 The fossil is now in a laboratory being examined by scientists, although much of it is still trapped in rock. “Now we have to chip away, centimetre by centimetre, to reveal the rest of the skull,” Dalous said. This should be completed in the next few months. Weirdly, it’s not all that unusual for people to just accidentally happen upon incredible fossils. Earlier this year, a man came across Scotland’s first ever woolly mammoth bone while on a walk near a Loch. What’s more, an “unremarkable” fossil found decades ago on an Australian beach recently turned out to be something much more exciting.